This article originally appeared on GigaOM Pro, GigaOM’s premium research service. The U.S. market is forecast to install 4.4 GW of solar panels this year, a 33 percent increase from 2012, thanks in part by an expected surge in residential installations, according to a report released Tuesday. The country added 723 MW of solar panels in the first quarter of 2013, up 33 percent from the first quarter of 2012, said the report by the Solar Energy Industries Association and GTM Research. The anticipated growth in 2013 would be slower that what took place in 2012, when the amount of new solar generation jumped 76 percent. The growing popularity of solar leases, falling prices for solar panels and efforts to reduce the costs of marketing, sales and permitting, have steadily boosted the growth of the solar market in recent years. The pace of installation has quickened, in particular, in the residential market, which grew 53 percent from the first quarter of 2012 to the first quarter of 2013. 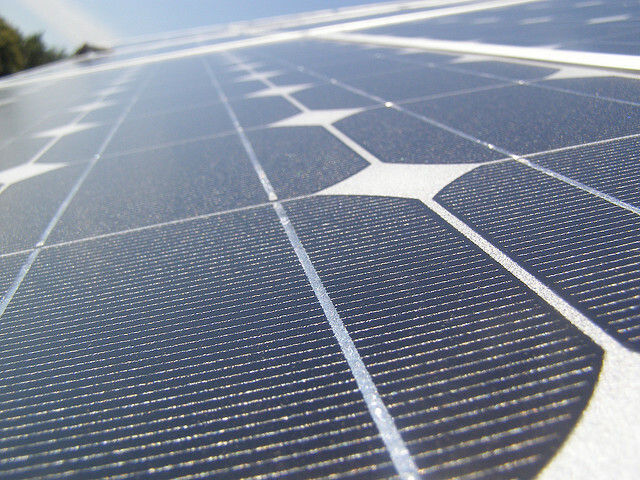 While federal, state and other local incentives still play a big role in the overall expansion of the solar market, their important will likely diminish as the incentive programs come to an end and solar companies, from manufacturers to installers, find ways to adjust and continue to grow their business. The report highlighted California as a local market in which state incentives for residential systems have disappeared in two of the three big utilities’ territories, yet installation pace has continued to grow. Solar companies in California reported that they are increasingly able to install solar energy systems that could produce electricity at rates comparable to the retail prices charged by major utilities even if they use only the federal tax credit that covers 30 percent of the price of a system. From the first quarter of 2012 to the first quarter of this year, the national average price for residential solar systems fell 15.8 percent to reach $4.93 per watt. Declining state incentives is crimping the growth of the commercial market segment, which serves businesses, government agencies and other non-residential, non-utility customers. This segment is set to grow 18 percent in 2013; in 2012 it grew 29 percent, the report said. Commercial installations tend to be larger, and customers want as short a pay-back period as possible and expect good energy savings by going solar. Those savings could be harder to achieve with lower subsidies. Commercial installations fell from the fourth quarter of 2012 to the first quarter of this year in key market such as California, Arizona, Hawaii and Massachusetts. New Jersey bucked the trend by growing 50 percent quarter over quarter. The average price for commercial systems fell 15.6 percent to reach $3.92 per watt year over year. The utility market, in which solar power projects are built for utilities or for selling power to utilities, will likely set a record by installing 2.3GW of solar panels in 2013. The first quarter of this year saw the completion of 24 utility scale projects. The average price for a utility system dropped 26 percent year over year to reach $2.14 per watt during the first quarter of 2013. Not all utility-scale projects use solar panels. Concentrating solar power technology, which uses mirrors to concentrate and direct sunlight onto solar cells or a steam-producing boiler for running a turbine generator, is set to make its mark this year. Over 900 MW of concentrating solar power projects will likely be installed in 2013, the report said. That will increase the overall solar energy generation projects in 2013 to 5.3 GW. Reducing you utility bill for future savings should be incentive enough for most people. Why should states subsidize the cost of anyone trying to save money?That is a nice way to get people interested but becoming self sufficient but becoming self sufficient should be motive enough. Does the state subsidize your home garden? Great, but don’t solar panels only absorb something like 13% of actual solar energy and reflect the rest back? They absorb most of the light and with anti reflection coatings, its quite a lot of it. But the best typically panels are less than 20% efficient in even the most ideal circumstances due to the inherent design of the cell itself. So 13% is that far off. But reflection isn’t the main reason the efficiencies are so low.